Nick Searcy has been seen in American film and television for almost twenty years, but working in Hollywood as an outspoken Conservative isn’t easy. In this episode of Whiskey Politics, Nick joins us to discuss how the Left has become the racist party of ‘a different form’. Nick also discusses how to engage liberal trolls online, the impact Andrew Breitbart’s death had on him, DACA, liberal Republicans being primaried in 2018, their Obamacare repeal promises, and how the Left may be surprised in 2018 and 2020 and how to get your car ‘keyed’ in tolerant Los Angeles. Nick has starred in independent films as well as studio blockbuster hits, including Castaway, The Fugitive, Head of State, Runaway Jury, The Assassination of Richard Nixon, Fried Green Tomatoes, and most recently Moneyball. On television, Nick has been seen in many shows including American Gothic, Criminal Minds, Chicago Hope and has guested on many shows such as The West Wing, Boston Legal, CSI, and Justified. Michael Walsh returns back to Whiskey Politics which if you haven’t heard our interview last Spring you can find it iTunes, Stitcher or GooglePlay or your favorite podcast app and of course, we ask for you to kindly give us a 5-star rating on iTunes so others will find us. Michael Walsh, AKA “David Kahane.” and author of THE DEVIL’S PLEASURE PALACE a must read for everyone listening is also a Contributing Editor and Writer at PJ Media, NY Post, former Time Magazine Assoc, editor; and his articles have often been linked to at The Drudge Report. On this episode, we discuss the news about FBI’s Hillary Investigation, Antifa, Cloward Piven and the debt ceiling, the media, Hollywood films (hint, he’s not a fan of Marvel) and his new book Fiery Angel. Follow Michael on Twitter @DKahaneRules. Los Angeles “street artist” SABO joins Dave at Whiskey Politics to discuss Hollywood, the Left, Antifa, the crackdown on Free Speech at colleges, his suspension from Facebook and his world famous art that skewers everyone from Lena Dunham, Leonardo DiCaprio, Cher and other. Recently his art focused on both Google and Facebook got him suspended from Facebook, possibly for good. On this episode of Whiskey Politics, Sabo talk about rabble rounding the Left at Antifa rally’s and his upcoming Berkeley presentation with Milo. John Fund (National Review and Fox News) returns to Whiskey Politics to update us on the bi-partisan Election Integrity Commission and how some 2.8 million people are registered in two or more states, and 1.8 million registered voters are dead. What John refers to as a “political stunt” by state workers declaring they will deny providing data to the commission. How powerful Democratic strongholds like Chicago and Detroit use voter fraud to elect corrupt office holders which hurt the Democratic voters who need change. We discuss why Democrats have so often opposed efforts to crack down on voter fraud at the state level and why the Obama administration for eight years never cracked down on potential ineligible voters. Be sure to subscribe to Whiskey Politics at YouTube and our audio podcasts at iTunes, Stitcher or GooglePlay where your 5-star rating would be appreciated as it will help get the word out about our fledgling production (iTunes especially!) In: Little Green Bag, George Baker Selection. Out: Always Tell The Voter What The Voter Wants To Hear, Chumbawamba. Produced by Praemonitus Communications and pictures by Thompson Clicks Photos. Author Michelle Balconi joins Dave at Whiskey Politics to discuss how we talk to our kids about economics. Schools no longer teach free-enterprise or economics as most adults learned it. Michelle is the co-author of the new book (soon to be a series) Let’s Chat About Economics, written for kids with famed Reagan Economist Dr. Arthur Laffer. Be sure to subscribe to Whiskey Politics at YouTube and our audio podcasts at iTunes, Stitcher or GooglePlay where your 5-star rating would be appreciated as it will help get the word out about our fledgling production (iTunes especially!) In: Little Green Bag, George Baker Selection. Out: Money Talks, SCDC. Produced by Praemonitus Communications and pictures by Thompson Clicks Photos. What do William F. Buckley, Donald Trump, Newt Gingrich, Dinesh D’Souza, Senator Mike Lee, Laura Ingraham, Mark Levin, Ann Coulter, Mark Steyn, Michelle Malkin, and David Limbaugh all have in common? They, along with dozens of other best-selling authors are all published by Regnery Publishing. Marji Ross discusses how to become an author and have the best chance of becoming published in the hyper-competitive conservative literary space. Marjory Grant Ross (Marji) has been President and Publisher of Regnery Publishing since 2003. She currently serves on the boards of the National Conservative Campaign Fund, the Clare Boothe Luce Policy Institute, and the Beth Chai Congregation. In February 2005, she was named the Clare Boothe Luce Policy Institute’s Woman of the Year. The billionaire commodity guru Jim Rogers believes the next economic catastrophe is coming and when it arrives it will be the worst financial calamity the 74-year old investor has ever seen. “The financial markets are going to have the worst problems in my life time.” Jim joins us at Whiskey Politics and discusses China, Janey Yellen, why “Mr. Obama wasn’t a very smart guy”, and his opinions about Donald Trump and of course we ask Jim to suggest how we can protect ourselves. Find Jim all over the financial websites, including CNBC, Business Insider, Zero Hedge, and Wall Street Journal and his website: http://jimrogers.com. Be sure to subscribe to Whiskey Politics at YouTube and our audio podcasts at iTunes, Stitcher or GooglePlay where your 5-star rating would be appreciated as it will help get the word out about our fledgling production (iTunes especially!) In: Little Green Bag, George Baker Selection. Out: Take The Money And Run, The Steve Miller Band. Andy Puzder joined us at Freedom Fest to discuss the minimum wage, small business regulations, his withdrawal from Labor Secretary and the poignant discussion he had with Mike Pence, and his last marketing effort at Carls Jr, creating possibly one of the greatest commercials in modern times. In February 2017, fast-food executive Andy Puzder withdrew his nomination to be Labor Secretary as the White House realized the CEO of CKE Restaurants would go down in defeat due to infighting even on the Republican side of Congress. Only a couple of days following the termination of Mike Flynn, seeing one of President Trump’s cabinet picks walking away was a victory for Democrats, unions and liberal groups. New York Times attacked Mr. Puzder’s business record and, more importantly to Andy, his character. Mr. Puzder said his treatment had been “an unprecedented smear campaign.” Democrats vocally lauded Mr. Puzder’s withdrawal as “a victory for working Americans”. Conservatives were dismayed as Mr. Puzder, while running both Carls Jr. and Hardees staunchly opposed the Affordable Care Act, spoke out against the Progressive’s effort to increase the minimum wage to $15 and overtime rules. The unions despised his policies and made it personal. John Stossel joins the Whiskey Politics Podcast just as we were setting up at Freedom Fest. While we had some audio challenges, John spoke on regulations, entitlements, the ongoing drug war and how to ensure future generations will be taught about the benefits of free markets. John can now be found on http://Reason.com and is focusing on teaching students basic economic principals at http://StosselInTheClassroom.org. For decades you have seen John appear on ABC News and Fox Business Channel preaching libertarian political philosophy and views on economics focusing on free markets. John has received 19 Emmy Awards and 5 National Press Club awards for excellence in consumer reporting. Stossel has written three books recounting how his experiences in journalism shaped his socioeconomic views, Give Me a Break in 2004, Myths, Lies, and Downright Stupidity in 2007, and No They Can’t! Why Government Fails but Individuals Succeed. Glenn Reynolds is one of the most important folks in news as he runs Instapundit (now a PJMedia.com property). Instapundit provides newsworthy articles and content reported across mainstream media, The Drudge Report and many other outlets. Glenn and his team seem to have a knack of picking the stories he knows people would be interested in reading about. His site, created in 2001, has millions of loyal readers. Glenn is an author and law professor who has written for law reviews at several universities, including Columbia and Harvard. His articles have appeared in all the major daily newspapers as well as Fox News and MSNBC and he is currently a Contributor to USA Today. On this episode of Whiskey Politics we discuss how media bias has changed reporting, CNN’s Jim Acosta and Stephen Miller, the Ace of Spades article, and the Justice Department redacting the tarmac meeting that took place between Attorney General Loretta Lynch and President Bill Clinton, right before the election. If you are enjoying the series, please subscribe to Whiskey Politics at YouTube and our audio podcasts at iTunes, Stitcher or GooglePlay where your 5-star rating would be appreciated (iTunes especially!) as it helps others find us. In: Little Green Bag, George Baker Selection. Out: All Of Me, Louis Armstrong. Produced by Praemonitus Communications. If you are enjoying the series, please subscribe to Whiskey Politics at YouTube and our audio podcasts at iTunes, Stitcher or GooglePlay where your 5-star rating would be appreciated (iTunes especially!) as it helps others find us. ? In: Little Green Bag, George Baker Selection. Out: Take Five, Dave Brubeck. Produced by Praemonitus Communications, pictures by Thompson Clicks Photos. Reason’s Nick Gillespie – Is Trump Bad for Libertarianism? When it comes to tackling regulations (Title 9, Obamacare, small business, etc.) Trump has many Libertarians applauding. So why does Reason’s Nick Gillespie suggest Trump may be bad for the Libertarian cause? Nick is currently the Contributing Editor of Reason.com and the Editor-in-Chief at Reason.tv, the home of Free Minds and Free Markets. We discuss entitlements, Libertarianism as a governing body, limited government in the age of Trump and much more. You can (and should) find Nick on Twitter and Facebook. Special thanks to virtuoso pianist Hyperion Knight for his beautiful background music taped at the Freedom Fest Convention at the Paris Hotel in Las Vegas, NV. Please subscribe to Whiskey Politics at YouTube and our audio podcasts at iTunes, Stitcher or GooglePlay where your 5-star rating would be appreciated! (iTunes especially!) In: Little Green Bag, George Baker Selection. Out: Everybody Wants to Rule the World, Tears for Fears. Produced by Praemonitus Communications, pictures by Thompson Clicks Photos. Michael Knowles, Best Selling Author of Reasons to Vote for Democrats: A Comprehensive Guide and Host of the new Michael Knowles Show on Daily Wire joins Dave to discuss why the Left can’t laugh and how Universities are subverting Free Speech. Check out Michaels new show at Daily Wire.com. Michael is an American actor and graduate of Yale University, where he earned the Seymour L. Lustman Prize for Outstanding Artistic Contribution. Find Michael at MichaelJKnowles.com and Twitter. Please subscribe to Whiskey Politics at YouTube and our audio podcasts at iTunes, Stitcher or GooglePlay where your 5-star rating would be appreciated! (iTunes especially!) In: Little Green Bag, George Baker Selection. Out: High, Sir Sly. Produced by Praemonitus Communications, pictures by Thompson Clicks Photos. Salem Media syndicated Talk Show Host and Author Michael Medved graciously returns to the Whiskey Politics Podcast to discuss the issues of the day, including the health care mess, the GOP’s extremely fragile majority, 2018, Trump, Sessions, and much more. Taped at Freedom Fest. Please subscribe to Whiskey Politics at YouTube and our audio podcasts at iTunes, Stitcher or GooglePlay where your 5-star rating would be appreciated! (iTunes especially!) In: Little Green Bag, George Baker Selection. Out: See The Light Simple Minds. Produced by Praemonitus Communications, pictures by Thompson Clicks Photos. Libertarian Talk Show Host and Author Larry Elder, “The Sage Of South Central” is heard on over 300 stations on the Salem Media Network. His has written best selling books and is featured on multiple news networks on a regular basis. Larry shares his thoughts on states rights, health care, Trump’s first six months, the double standards in the media, his touching story from his book Dear Father, Dear Son about his reconciliation with his Father. Of course, since it’s Larry Elder, we finished up with his outrage once again focused on O.J. Simpson, the response from the black community and what has improved, if anything in the past 20 years. Taped at Whiskey Politics Ricochet media booth at Freedom Fest with the great Hyperion Knight in the background playing piano. Please subscribe to Whiskey Politics at YouTube and our audio podcasts at iTunes, Stitcher or GooglePlay where your 5-star rating would be appreciated! (iTunes especially!) In: Little Green Bag, George Baker Selection. Out: Way Back Home Jr. Walker & The Allstars (Larry Elder’s Theme Song). Produced by Praemonitus Communications, pictures by Thompson Clicks Photos. Filmmaker and Author Dinesh D’Souza sits down with Dave Sussman at the Whiskey Politics / Ricochet Media Booth at Freedom Fest in Las Vegas. Dinesh discusses how while the Left thinks of itself as the ‘party of diversity’ it is quite the opposite, even fascist. He purports that the Left wishes to keep voters in abject poverty to ensure they maintain their voting blocks. Born in India, D’Souza came to the U.S. as an exchange student at the age of 18 and graduated Phi Beta Kappa from Dartmouth College. Called one of the “top young public-policy makers in the country,” Following graduation from Dartmouth University, he went on to work in the Reagan White House as a policy analyst. D’Souza quickly became known as a major force in public policy through his books, speeches, and films. Please subscribe to Whiskey Politics at YouTube and our audio podcasts at iTunes, Stitcher or GooglePlay where your 5-star rating would be appreciated! (iTunes especially!) In: Little Green Bag, George Baker Selection. Out: All You Fascists, Billy Bragg and Wilco. Produced by Praemonitus Communications, pictures by Thompson Clicks Photos. 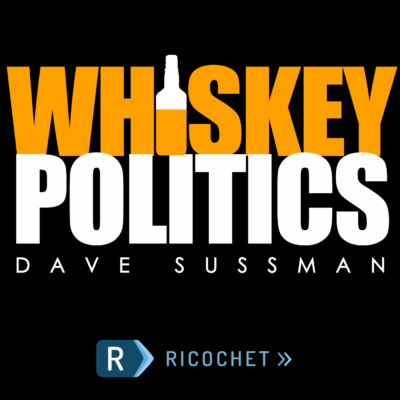 James O’Keefe joins Dave Sussman at Whiskey Politics on Ricochet at Freedom Fest to discuss the CNN Scandal, fake news, Project Veritas videos and how they have impacted him personally and the big things on the horizon for his organization. Please subscribe to Whiskey Politics at YouTube and our audio podcasts at iTunes, Stitcher or GooglePlay where your 5-star rating would be appreciated! Forbes Media CEO and former Presidential Candidate Steve Forbes sits down with Dave Sussman at Whiskey Politics for a discussion about Free Markets at the home of Libertarian thought, Freedom Fest. Topics include Obamacare, Tax Reform, the border adjustment tax and why “Paul Ryan has snagged by the Body Snatchers”. The Whiskey Politics team is at Freedom Fest in Las Vegas interviewing a whole bunch of incredible luminaries, including Steve Forbes, Dinesh D’Souza, John Stossel, John Fund, Jim Rogers, Michael Medved, James O’Keefe and many others. However, we also had a great Whiskey Politics AFTER HOURS interview with Ricochets own Dr. Jay Schroeder, @DocJay and discussed Obamacare and much more. Video to come soon! On this episode of Whiskey Politics, we discuss President Trump’s recent speech in Poland, paying Nato, the reality of two Europes, Immigration, Putin, Brexit and much more with Melissa O’Sullivan, the Deputy Director of the Danube Institute in Budapest, Hungary, and Washington DC. Melissa represents the Danube Institute through her involvement with the International Women’s Club and other organizations. A former professional in the field of security working with the federal government, she is a graduate of the University of Alabama and is a commentator on the political scene on both sides of the Atlantic. Melissa works with her husband John O’Sullivan, former senior policy writer and speechwriter for Margaret Thatcher when she was British prime minister, Editor at the National Review and former Editor in Chief at UPI. Please subscribe to Whiskey Politics at YouTube and our audio podcasts at iTunes, Stitcher or GooglePlay where your 5-star rating would be appreciated! In: Excerpts from Trump’s Poland Speech, Little Green Bag, George Baker Selection. Out: Budapest, George Ezra.